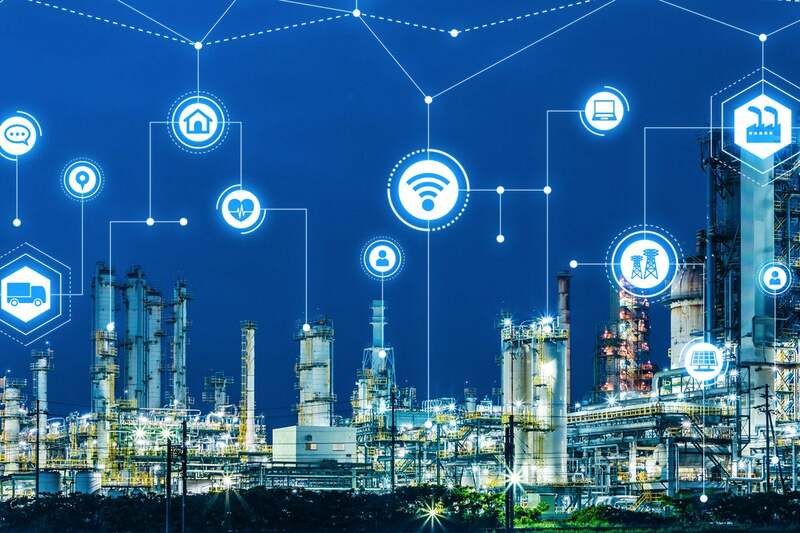 Companies jumping on the IoT bandwagon without a plan to fully implement an Enterprise of Things (EoT) consolidated strategy are wasting valuable resources. The Internet of Things (IoT) has captured much attention recently as more devices like wearables, AR/VR headsets and sensor-based products make their way to market. But off-the-shelf consumer-oriented devices are not always what enterprises need. Rather, most companies need a more specialized approach than just deploying things all over the place. As a result, the more specialized Enterprise of Things (EoT) is becoming a significant part of nearly all companies' plans for the next three to five years. Indeed, we expect EoT to become a top 3 item on most organizations' strategic initiatives in the coming two to three years. EoT will partner with ongoing enterprise cloud and security initiatives as organizations look to transform how they do business and run more efficient and user-responsive operations. But research shows that for many companies currently deploying or planning deployments of EoT, it’s a waste of money. That doesn’t mean EoT, along with data gathering and intelligence distribution is a waste of time or money. In the future, companies that are able to leverage the potentially vast benefits of EoT — just as was true in the past for client/server, web and mobile technologies— will be the ones that thrive. But the struggle to implement meaningful EoT for many will take several years, and it may not always go smoothly. It’s not enough to “sensor-up” your organization or, for that matter, to deploy lots of end points, such as wearables AR/VR headsets, drones, robots, etc. Currently we see a great deal of focus on putting these input-centric devices in place, along with some additional experimentation on the output side. And indeed, in certain situations, especially well-defined solution areas, such as navigation for autonomous vehicles, tracking products through a supply chain, and transportation, the benefits are clearly there and relatively easy to obtain. But even in these situations, most companies are foregoing much greater benefits that could accrue if all of the data being generated were really being intelligently used. The greatest payback comes from new and continuous business insights, not data production for no real purpose. The true long-term advantage of EoT is the ability to gather much disparate data from multiple sources/processes, aggregate it and process it into a form of actionable intelligence that makes it a strategic asset to the organization. The problem is research indicates that 75 to 85 percent of all data gathered in organizations is never fully utilized. It may prove useful in specific targeted solutions, but it’s not helping the overall organization become more productive and/or competitive. And as more sensors are deployed, more data is generated, compounding the problem. What’s truly needed is a consolidated ability to capture and process all of the data and convert it into meaningful insights. Many companies provide analytics engines to do this (e.g., SAP, Google, Oracle, Microsoft, IBM, etc.). But to have truly meaningful company-wide analysis, a significantly more robust solution is needed than stand-alone, singular instances of business intelligence/analytics. How should companies enable the full benefits of EoT? They need a strategy that provides truly meaningful “actionable intelligence” from all of the various data sources, not just the 15 to 25 percent that is currently analyzed. That data must be integrated into a consolidated (although it may be distributed) data analysis engine that ties closely into corporate backend systems, such as ERP, sales and order processing, service management, etc. It’s only through a tightly integrated approach that the maximum benefits of EoT can be accomplished. Many current back-office vendors are attempting to make it easier for companies to accomplish this. Indeed, SAP is building a platform to integrate EoT data into its core ERP offerings with its Leonardo initiative. And IBM is deploying Watson AI systems to better analyze EoT data to gain real insights for company to act upon. Amazon, Microsoft, Google, and others all have EoT initiatives under way to better enable the acquisition and analysis of data to enable improved corporate insight and actions. You need to think about EoT as an extension of existing corporate systems and not as a siloed stand-alone capability for a single process." The bottom line is companies must think about deploying EoT capability if they want to stay competitive. But unless they have a strategy to fully utilize the potential insights that the input devices provide and then allow the full utilization of advanced output capabilities tied into corporate back office systems, they will not achieve the full benefits of EoT. If your organization has an EoT strategy (and many don’t at this time), you need to think about EoT as an extension of existing corporate systems and not as a siloed stand-alone capability for a single process. You may indeed start with a single process area, but if you are engineering it as a stand-alone solution and not part of a consolidated corporate system, you are making a mistake. Unless you connect it with your corporate system, you will most likely be wasting your valuable resources.